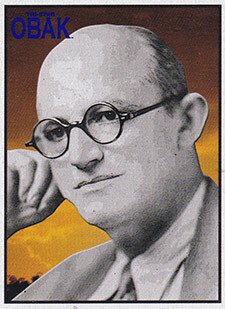 In 1913 in the City of New York, Al Elias, with brother Walter, began what today is known as the Elias Sports Bureau. The Elias Brothers and their Bureau's methods of collection and presentation of statistics set the form and precedent for recording baseball information, and influenced the universal collection and presentation of other sports information. In 1916, three years after the brothers opened shop selling baseball scorecards featuring team and player statistics in saloons and haunts of baseball fans, the New York Telegram began publishing the Elias' weekly compilation of "batting and pitching averages". In 1919, the brothers were appointed official statisticians for the National (Major) League and International (minor) League (and later the American League). In 1937, the Al Munro Elias Bureau took over publication of "The Little Red Book", the official statistics journal of Major League Baseball. In 1938, the Bureau began producing The Pocket Cyclopedia of Major League Baseball, and for many years published the official Green Book, the National League's annual summary. Al Elias died in 1938. Today's Elias Bureau, headed for more than 50 years by Seymour Siwoff, also records statistics for the National Football League (NFL), National Basketball Association (NBA) National Hockey League (NHL), Major League Soccer MLS and Women’s National Basketball Association WNBA.